One source, all formats. Get superior digital assets and product information to your partners faster so you can sell more. Salsify's platform gives you a cloud-based, central location to store all of your brand, lifestyle, and product focused digital assets. 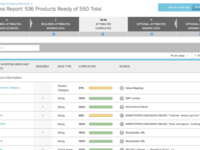 Then choose from hundreds of built-in transformation tools to meet the unique requirements of each of your internal teams and external retail partners. 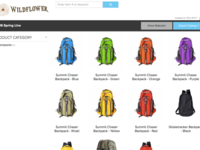 Leading brands use Salsify's content management platform to power ecommerce growth. Pros: The ability to resize/rename images on the fly has been a useful tool, as we previously maintained a folder for each customer's images that were specifically sized and named for them. Now, we just set up some rules for each customer's naming conventions, and the files are named as we go. Customer service will take care of the things that are not very self-service friendly. 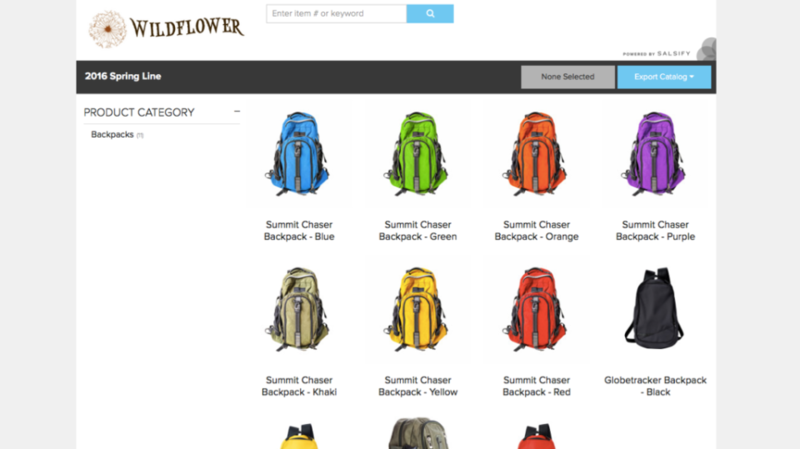 Digital catalogs provide a quick and easy way to share new products with select groups of people. Once you get the hang of it, importing and exporting a lot of information is very quick and easy. Data is easily accessible. Cons: Number of users is very limiting, and adding seats very expensive. Salsify significantly underestimates the amount of storage needed for images and other digital assets and wants to limit the number attached to products. When we signed up, we asked if there was a limit on digital assets and were told there was no "practical limit," and they would let us know if we had too many. At contract renewal, they wanted to significantly reduce the available number. Not responsive design for phones. Although I would never recommend the phone as your primary access point for Salsify, it is nice to be able to quickly look products up in a pinch. With the available screen real estate on the iPhone 6+, I expect to be able to do that, but the menus don't work and everything is squished. Difficult to squeeze it in, and not successfully executed yet. Overall, searching for items within the search box is slow. If you type a part number quickly, the site lags, and cannot find the item. I usually edit the URL in the address bar to go directly to the page I'm looking for. Overall: Salsify has a bit of a learning curve, but overall provides a good service. I have been using it a little more than a year and have been pretty happy as a user. Additional services are being added to the package, but not all are included as an all-inclusive base price, which is contrary the impression given when we signed up. Customer service has been good, with the Salsify team adding features based on our feedback. Recommendations to other buyers: Go in with the expectation for the upsell. Don't get me wrong; I believe Salsify provides us a valuable service, but it is a high-cost solution for smaller companies. Expect to take some time before you are comfortable using all the features. 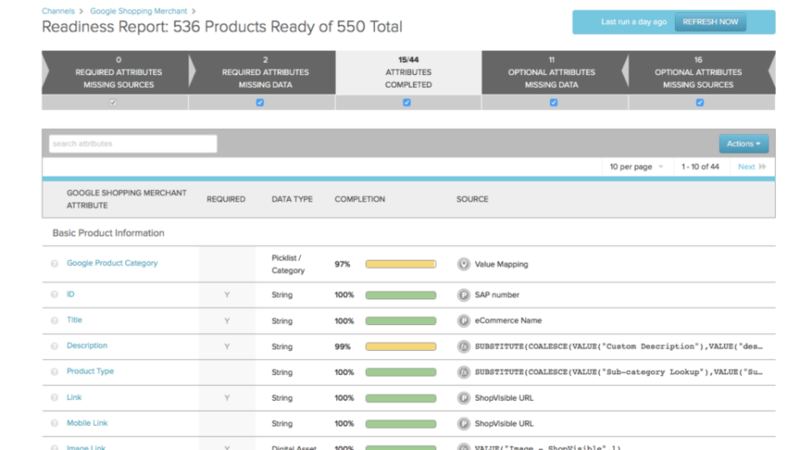 Get a primer on the use of readiness reports; I find that to be very useful. Thank you for the feedback. You'll be happy to hear that we have actively been investing an enhanced search experience and it's expected to land in the next month or so. I have shared your feedback regarding the mobile experience with the product team and I'm happy to report there are plans to improve this in the future as well. If you're open to it, I'd like to connect you directly with our product team. My hope is that we'll be able to share our vision for new features and come to a better understanding of how you're using Salsify. My name is Ashley Krahn and I lead the team that helps our customers drive value through Salsify. Please feel free to contact me directly at akrahn@salsify.com, 617-206-6730. Pros: I like the fact that we can load all the information and photos into one place. Salsify works well and suppport is available. Cons: I would like more "hands on training" to learn how to get our products onboarded more quickly and efficiently so we can actually utilize the site as it should be. We experience a lot of training which was the trainer doing the process and us trying to follow along; as we all know most of us learn by doing and I think a lot has been lost due to this. Overall: In using Salsify I have been extremely impressed with the quality and support that we have received. They continue to add more features and functions to the site all the time. Due to the large amount of data that we are dealing with it is great to be able to bring it all together, however my wish (if possible) would be to find a more streamlined process to bring it all together and to get onboarded more quickly, easily and efficiently. Recommendations to other buyers: I think better onboarding (setting up and "hands on training" would be highly beneficial. Thanks for the feedback. We're looking forward to the onsite training we've been planning over these last few weeks. Dedicating time like this will allow our customer champions to dive deep on your product content goals and help your team be successful with Salsify. As always, you can access our newly updated knowledgebase at https://help.salsify.com/help. During business hours you can contact our support line at 1-844-SALSIFY. I¿ve also sent you an email directly with the above info. Looking forward to meeting you in person! Pros: The software is agile and easy to use. It's extremely easy to connect API's to nearly any format or system. It is also very easy to build exports into retailer templates or any other type of template necessary. Any time I have a request for an update or change to the platform or need help, I receive help very quickly and implementations are put on their roadmap. Cons: No true cons to the system per se, however it would be nice if they had a suggested set of fields to fill. Overall: I've used Salsify for over 3 years and can truly say that it is the best PIM / DAM I've seen and used. Recommendations to other buyers: The catalogs! From past experience, sales side of organizations don't wish to login to a new portal to get information. 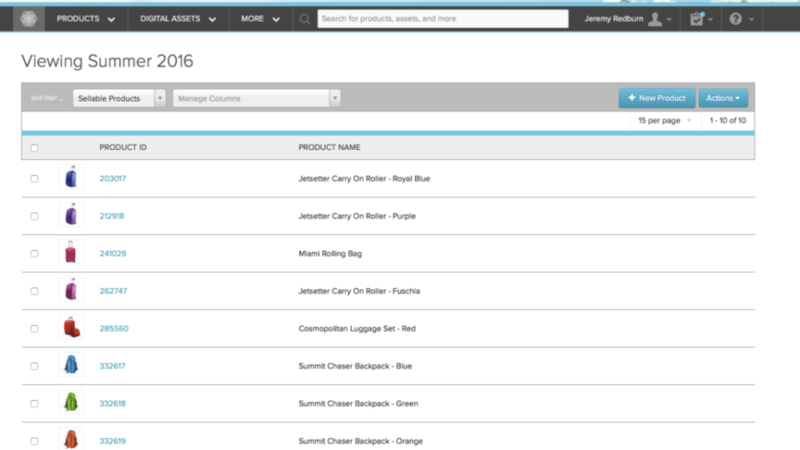 Instead use the catalogs to predetermine sets of fields that your sales teams can use. They allow for a direct link that shows any field and digital asset. We use the catalog aspect as well as the sell sheets most frequently. Incredible power for a multi-channel world. Pros: There are a number of contenders for Salsify's greatest pro. Among them would be the ability to create channels which massively simplifies the process of syndicating content to different websites and internal systems. In addition the ability to create very granular properties to allow an agile content management system with excellent faceted search to ensure clean high levels of data cleanliness. These form the backbone of an indispensable product management system. However, the fairly recent addition of the computed fields has allowed a more central management of the content rules for various channels. Overall: Effectively manage large product content portfolio with lower resources. Cons: The product has a ton of untapped potential. Although the support is fantastic (the best of any our organization has worked with to date) there is still some functionality that holds us back from manipulating certain features ourselves, to which we need to contact support to help us out with. The good news is, Salsify is always making updates to their cloud-based software and these issues should be gone relatively soon! Pros: Working in and out of Excel is a convenient way to get a lot of work done quickly. Formulas are proving more and more useful. Imports could use some bulk mapping/checkbox options (like being able to edit in the summary view instead of clicking on each column individually). This is especially useful for large templates with many columns of data. Formulas sometimes work and sometimes don't. For example, PATH_NAME and PATH_ID do not work in In-App computed properties. This wasn't made clear in documentation, only in discussion with Support. Salsify is an overall easy-to-use program that helps me to move through workflow quickly. Pros: I like how it organizes my inventory and makes it highly searchable, and therefore much more easily accessed as I need it. Cons: Occasionally slow moving and some lists make it difficult to move from one product to the next with ease. Overall: Ease of use when trying to work with my inventory quickly. Overall: In my experience with Salsify, I have learned A LOT about writing about products for a company and to be completely honest, I don't think I can imagine my time at my job without it. It saves me time, tedious tasks, and a lot of paper! The recent updates, especially on Salsify's user interface, have totally brought about a new appreciation for its services (YAY FOR NEXT/BACK NAV). Pros: Ease of use. 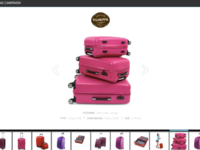 Salsify's portal is setup to be easily navigated around as well as syndicate with our retailers. Cons: Missing analytics behind what retailers have all of the available content on their websites. Overall: Salsify has changed the way that our internal employees not only gather information but share it with our customers. It has alleviated a lot of time consuming manual processes in order for us to focus on driving accounts forward. Please be on the lookout for an email later today from our Director of Product Management to see if there's a good fit for a beta program. Pros: The usability of the software and the UI. Overall: I have been using Salsify since May 2015 for a major client of ours. This tool has been so transformational for the business for their content & digital asset management. I have found that Salsify excels in the area of syndication to retailers and this is how we really leverage the tool. Pros: Salsify has been a wonderfully flexible PIM to support item images, data, and supporting material. It has allowed us to populate multiple different systems efficiently as well as create tailored customer specific views. Cons: It would be helpful to have more options for data export with use in other systems such as XML. Currently .csv, Excel and JSon. 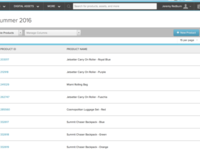 Overall: Improved efficiency of a centralized location for all item related information and customer facing documents. Relieved our customers from the task of gathering information and entering into their system. Pros: It's incredibly visual, simple to learn and quick to work with. Cons: Some features aren't user friendly to people from outside of the content management field. Sometimes there are bugs when moving between products or trying to get simpler lists of updates that are needed. Overall: I love using Salsify compared to so many of the other products that I've had to use for content management. It makes a lot of promises that it delivers on and has a lot of features that you don't normally get on a single site. Comments: Still setting up final channels but great system thus far. Amazon quite easy, having more difficulty with HomeDepot but its a work in progress and we are moving in the right direction. 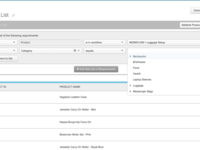 Salsify is a great tool to have for your ad writing needs! Pros: Easy to use. Rarely experiences technical issues. Great contacts when you need help! Cons: There are definitely some things that could be better/more like the criminality of other websites. Overall: Love the functionality. Salsify helps my company to write ads and save time which is what my department is all about! Recommendations to other buyers: Don't use the back button! 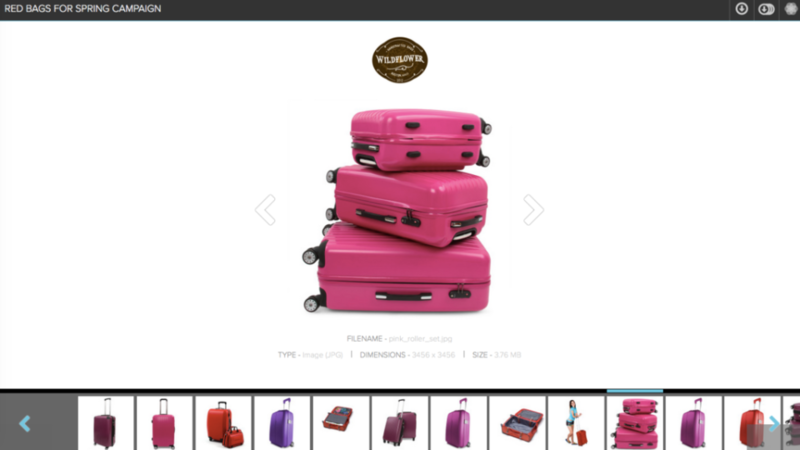 Pros: I use Salsify to upload/update/maintain our Ebags set up. The best feature in my opinion is the Analyze Readiness option, from here I can pin point any missing data and make updates. Cons: Don't have any cons, Salsify works like a charm for us! Cons: No permalinks to use for revisions on spec sheets for our website. Overall: We use this to manage ~200 SKUs. Great product for sharing information with vendors, creating quotes, so forth. Comments: Before Salsify, so much of our work was manual and tedious. Salsify simplified our processes and has proved to be useful to our team as well as the teams and retailers we work with. Pros: I love how easy it is to work with, I can mass upload which saves a lot of time! I love the ready and Incomplete check, it tells you exactly what's missing. Cons: The only con I see is, once the retailer accepts the changes/edits, the information within Salsify is not updated. All assets in one place! Pros: All assets (images, copy, dimensions) maintained in one place. Overall: The software allows for all data surrounding our products, to be located in one place. It's taken awhile for us to get up and running, though I'm not sure if that is the norm or due to the our input data.. Thank you for the feedback. We've been working with Kowanda on your team for an onsite visit to provide more training resources. As always, you can access our newly updated knowledgebase at https://help.salsify.com/help. During business hours you can contact our support line at 1-844-SALSIFY. Cons: Pricey compared to other solutions. Overall: We were having a horrible time trying to keep up with content demand from dozens of retailers all with different systems. 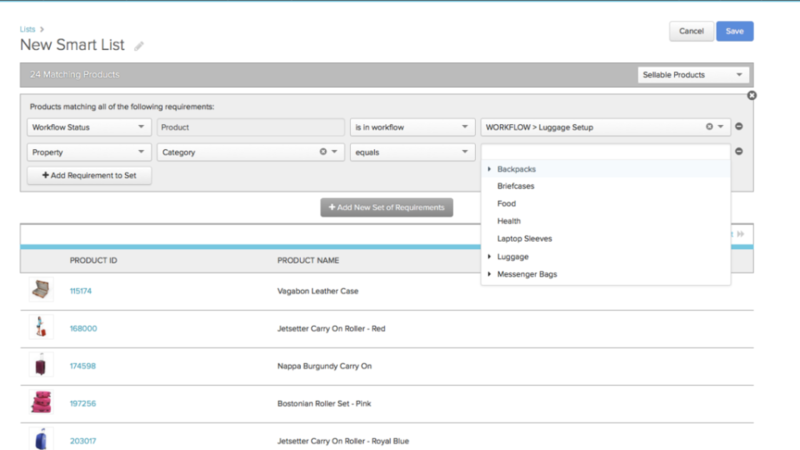 Salsify is helping us to unify the process and get new items loaded in half the time. Recommendations to other buyers: Get your whole team involved in the process to onboard so you don't have lags in your delivery system. Pros: I love how easy Salsify was to use. It made many business processes that could normally be a little difficult much easier and seamless. Cons: The price seemed a little high for what I was getting out of it. Not a huge complaint, though.